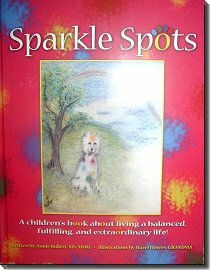 Sparkle Spots - A children's book about living a balanced, fulfilling, and extraordinary life! Charities and non-profits are benefiting from the publication of the children's book her mother always wanted to illustrate. 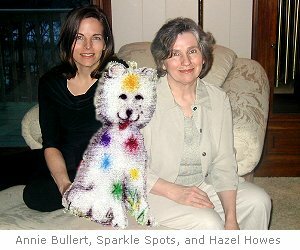 Annie Bullert wrote the story after hearing her mother, Hazel Howes, mention her dream of illustrating children's books. Today, the book is a reality and the response has been tremendous. 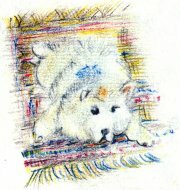 Sparkle Spots is a children's book about living a balanced, fulfilling and extraordinary life. The book contains insights on how to live well; to eat healthy foods, exercise, play, rest, learn, love, and to cherish friends, family and self. "I work with adults on these topics through my training and development business. People often wait until they are middle- aged to figure out these important life lessons. We want to give kids a head start," Annie said. Annie and Hazel have a mission to improve the lives of children and their families. They are partnering with charities to help raise money to support their causes. Life Time Fitness is selling the books in their clubs nationwide and on their website www.lifetimefitness.com. All of their proceeds will go to the Life Time Fitness Foundation, which gives 100% of the funds to local and national charities to support wellness, health and education for kids. Annie and Hazel are also talking with other charities, schools and churches to see if there is potential to work together. Hazel was an art major who left college early to raise nine children. Now, her daughter Annie and her eight siblings, and countless family members and friends are working hard to share Hazel's gift with the world. In the process they are supporting organizations dedicated to improving the lives of children. It's a perfect way to market and distribute Sparkle Spots, a true labor of love! For additional information, or to order a copy of the book, please contact: Annie Bullert, VentureSPARK, 651-210-6641 or annie.bullert@gmail.com. You can also send a check for $15 (to cover book, s/h, and sales tax) to the address below.